I’ve lost 5lbs since I last posted! I am really pleased with that as it’s been hard but I do feel a bit better already. My jeans aren’t quite so tight (squeezing my flabby self into those skinny jeans wasn’t easy!) and I don’t have quite so much around my middle to rest my elbows on when I’m sitting down. Exercise has been a bit of a challenge but this week I went to Run Club on Tuesday (my eldest daughter came with us too which was great) and yes I was slow and the last finisher in all the runs but I was there! On Thursday, I was due to go to circuits class but I had to wait for a phone call first which didn’t come so I missed the class. I was already in my kit with my trainers on and everything so I dragged myself out of the door for a run with Amber instead. To start off with it was hard going and I thought I’ll just do once or twice round the lake but then ended up doing 4.81 miles! 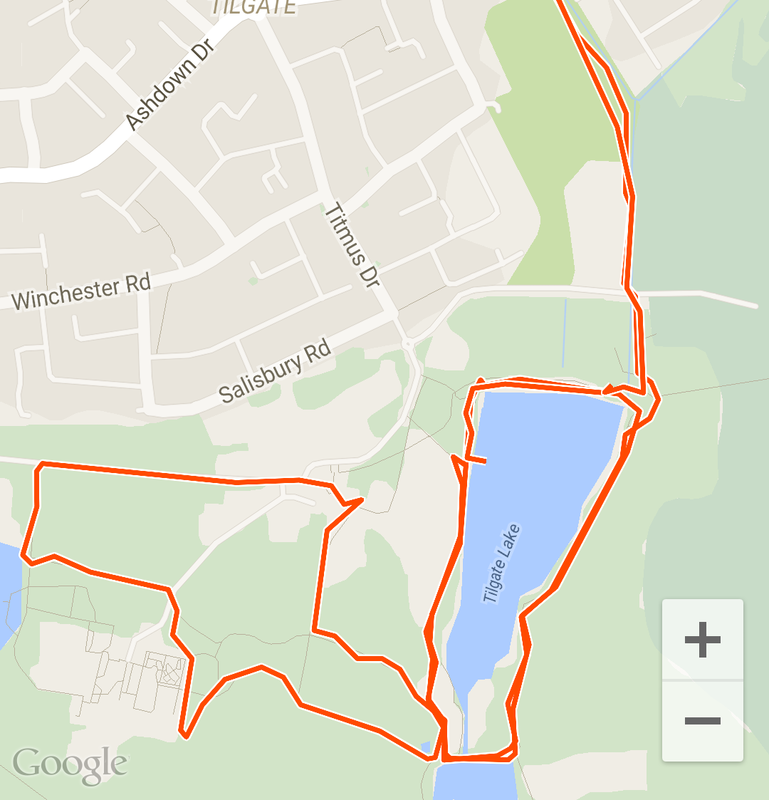 This included running – all the way – up Chevron Hill (my nemesis on ParkRun) and even trying a sprint towards the end. 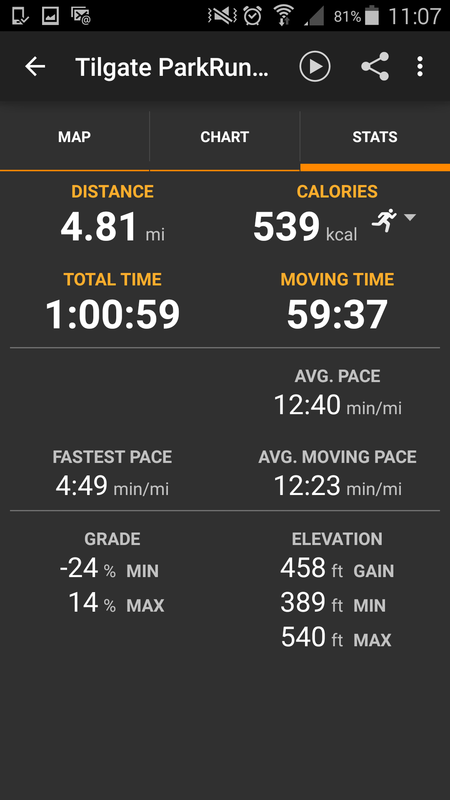 My average speed was 12 minutes 23 seconds per mile which is slow but is a minute faster than my speed when I went out for a run with Ian a couple of weeks ago so that’s progress too. I’m also pleased that I didn’t lose the eating plot when I didn’t get a job I interviewed for last week. I really thought it had gone well and had high hopes and was very upset when I didn’t hear one way or the other for ages. I assumed the worst and as expected I got the “sorry but” email on Monday. I rang one of the interviewers for feedback on Tuesday and this was actually very positive as she said it was between me and the person who got it and it was very close. Apparently I had surprised them at how well I had interviewed and had there been two jobs, one of them would have been mine. She asked if I would be interested in casual hours and I said yes in the hope that this would be a foot in the door. And I’m secretly hoping the person who got it finds that it’s not right for them after all! Categories: Weight Loss | Tags: 5:2 Fast Diet, interview, ParkRun, progress, running | Permalink.